MS Access puts encryption on the data files stored in it to keep the data safe and secure. The encryption and decryption passwords secure the Access files from unwanted access. Let's just try our software in order to resolve the password related queries with complete assurance. Recovers both multilingual and numeric passwords. 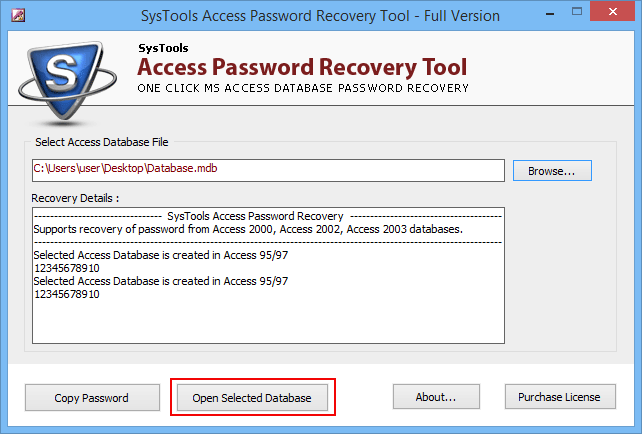 MDB password recovery tool allow you to reset both mdb and accdb files password and allow you to access your password protected database files. 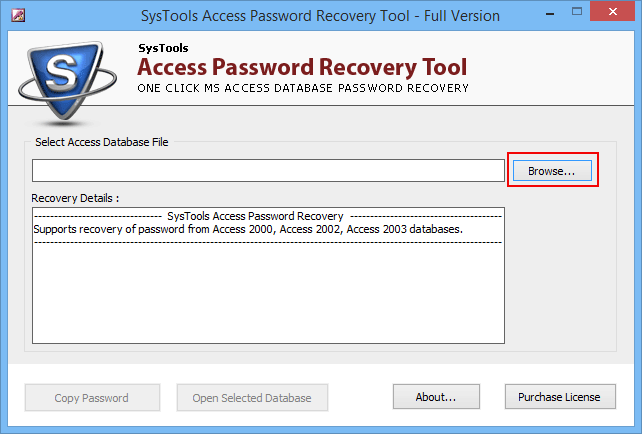 Access database password recovery software can easily reset password from different versions of access database like 2013, 2010, 2007, 2003, 2000, 97. Access password recovery software can recover multilingual and numeric passwords from mdb or accdb files. Even the password is too lengthy or highly encrypted. Launch Access Password Recovery Tool. Click on browse to open password protected access database file. 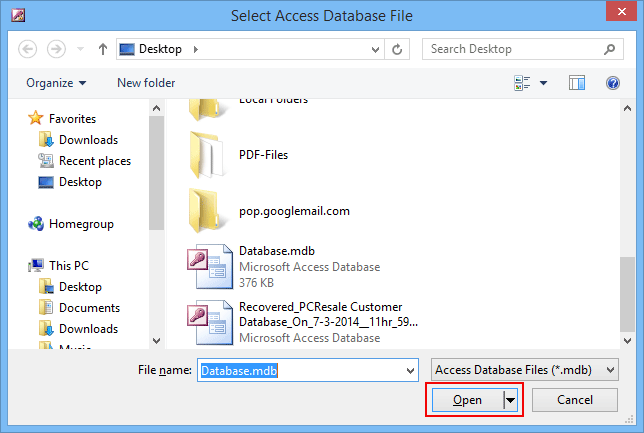 Select the access database file from destination folder and click on Open. 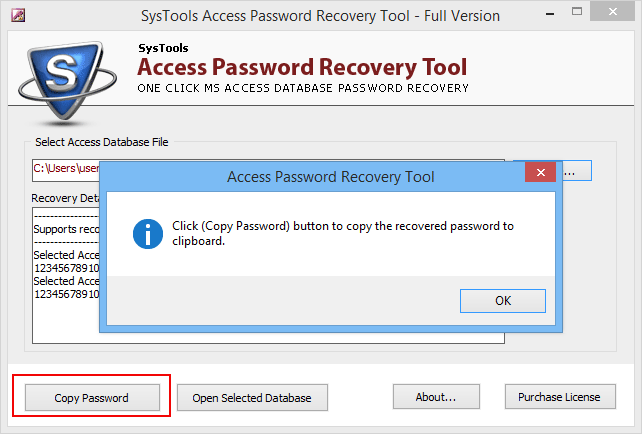 To Copy The Recovered Password Click on below Copy Password Button then on Ok Button. A Screens appears "Password Copied" comes after clicking on Copy Password. Enter The Password Using Ctrl + V command. 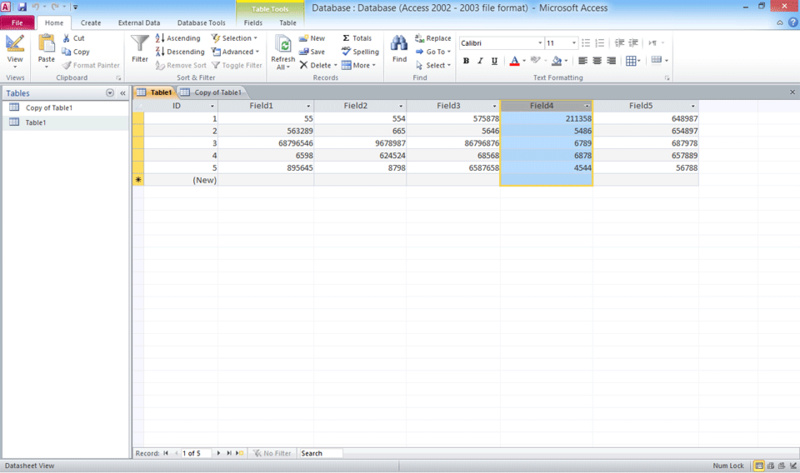 Now You Will Be Able To See The Tables Stored In Your Database. 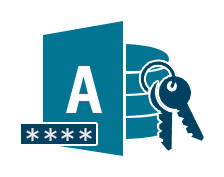 We offer complete recovery of lost or forgotten MS Access file passwords. We deploy optimized services and terminologies in order to give our customers optimum benefits of the products. The users can implement our software according to their requirements so as to get maximum benefits out of the software whilst keeping the whole process cost effective. Our vision is to become a trusted brand in the field of data recovery and migration. We tend to maintain the confidentiality of the customer's database. Can I reset password of .accdb file using this software? 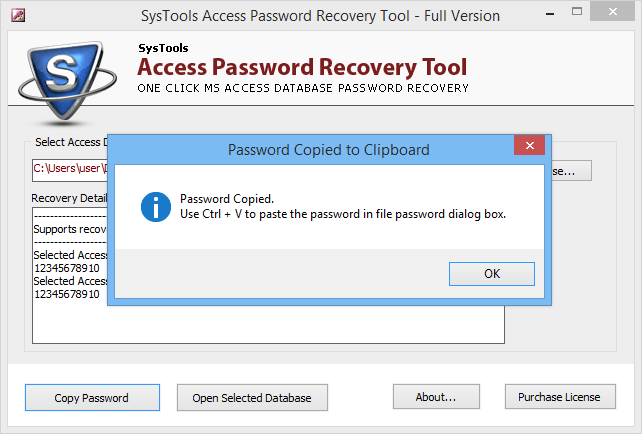 Yes, Access password recovery software can reset both mdb or accdb file passwords. Is It necessary to have Access database installed to use this software? Yes,the .mdb password recovery tool required to have access database installed on your machine to reset password of access database file. Does the tool makes any changes after reseting .mdb file passwords? No, Access password reset tool doesn't make any changes into the .mdb or .accdb files. What Customer Says for Access Password Recovery Software? 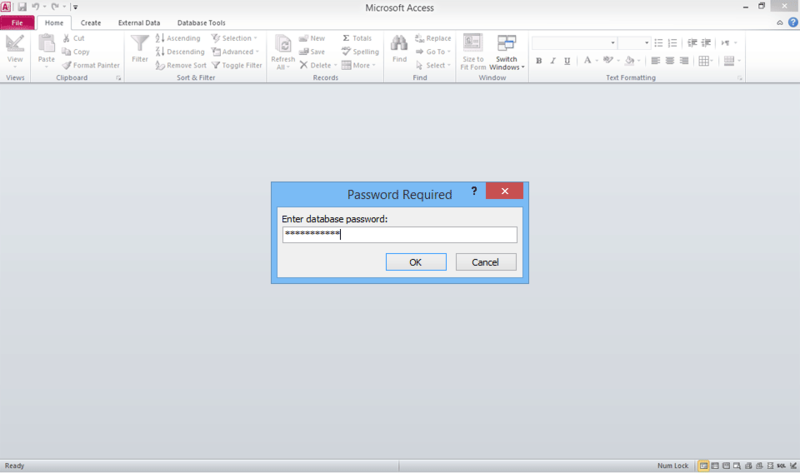 The Access Password Recovery software has made the impossible task of .mdb password recovery an easy one. You can recover any kind of password, whether it's numeric, alphanumeric or dynamic in its exact form. It is valuable software ensuring 100% recovery of MS Access file passwords. After a long time while accessing to my access database by providing the database credentials, it prompts me an error message. I did search on google to reset mdb file password and lastly I found this access password reset tool much helpful in Recovering Access Database Password.